Clogged drains can be very difficult for any property to bear with but they are issues that must be understood. Homes and businesses in Dallas bear with clogged drains all the time. However, no two clogs are ever truly alike. You have to be careful when getting any kind of clog cleaned out the right way so you can keep the drains in your property from being more of a burden than they have to be. What Types of Clogs Are There? A main sewer line can be clogged. This often entails water and other items going directly into a sewer line in your area. When this is clogged up, much of the water in your home will be backed up. A washing machine clog can develop as bleach, detergent and various items cleaned out of your clothes build up over time. Sometimes lint or other items accidentally left in the clothes you are washing will make the situation worse. Your garbage disposal can also be a problem. The grease, oils and other items that keep going into your disposal can build up over time and cause clogs to develop. It is true that many chemical cleaners may work well for your drain clearing needs. These products have chemicals that help to dissolve all sorts of clogs. However, such chemicals might wear out the pipes in your plumbing system. They may also leave residues that can add up over time. This means that the clog will be cleared out but the flow in the system may still be restricted in some way. Sometimes a plumber’s snake may be applied into the area where the clog is. A plumber can use this device by identifying where the clog is in particular and using force to clear out that clog. This can work quite well provided enough is done to make it easier for the clogged drain to be treated sensibly and carefully. The plumber’s snake tool must especially be used carefully so it does not scratch or impact your pipes in any way. This is why it’s so important for an expert to use such a tool and not to try it on your own. The pH level of your clog could also be considered. Acids may be used as man clogs could be alkaline in nature. This comes as these compounds have settled into your drains and other spaces over time. A clog could be treated with a mixture of various acids like borax, baking soda and even vinegar and lemon juice. A plumber can help you determine what items should be applied into your drain so you can get the proper treatment that you need for keeping your plumbing setup healthy. The clogged drains that you have in your Dallas-area property must be treated appropriately. Drains come in many forms and should be reviewed so you’ll know what has to be treated. 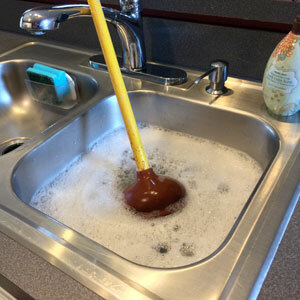 You should look carefully to see what can be done to ensure that a clogged drain is treated right as soon as possible.